It is Valentine’s day, let it be magical, romantic and unforgettable! 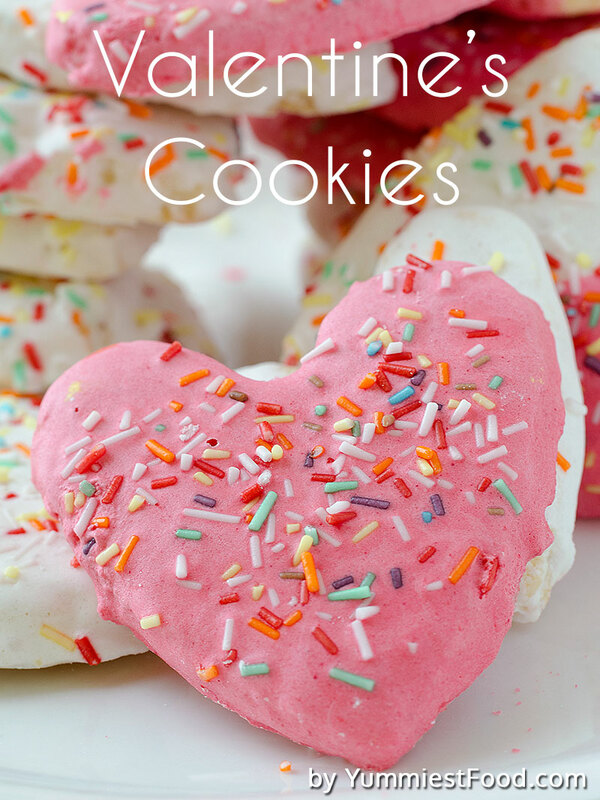 With Valentine’s cookies you will bring joy in your home! Every day is special, but Valentine’s day is the most. Saint Valentine, day of love! 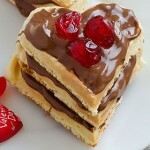 How to prepare something quickly, easy, tasty, and sweet to surprise a loved one? You must prepare Valentine’s cookies with love, because that is the perfect way to prove your partner how much you love him or her.. 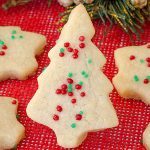 These cookies, which are my choice for today are ideal for that! 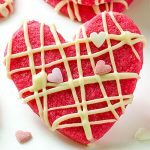 Valentine’s cookies are very easy to make, and they are so soft and delicious. 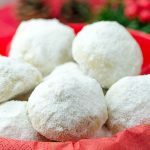 This recipe I got from my Grandma, and I could not wait to try to make them! My Grandma was real wizard in the kitchen and she taught me lot of recipes which I share with you. One of these recipes are crispy Valentine’s cookies. 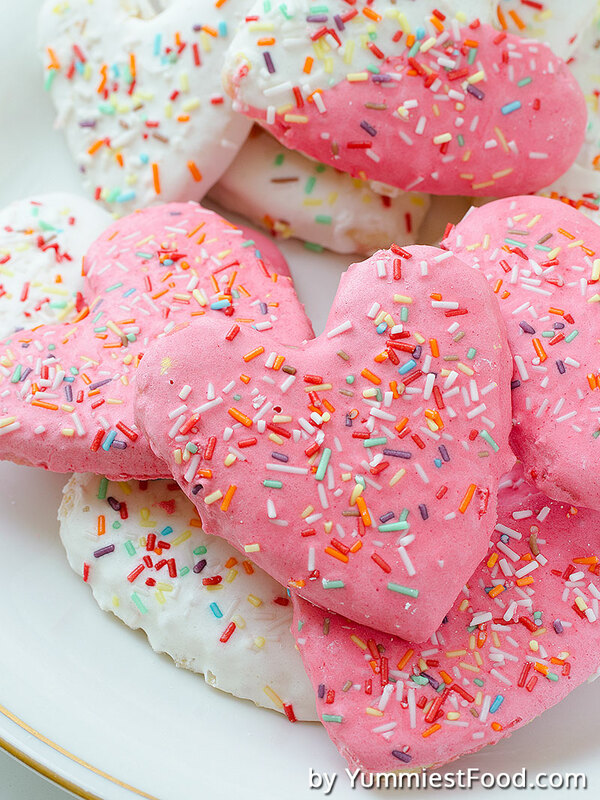 These Valentine’s cookies are traditional and you can prepare them in different shapes. For Christmas, you can use star-shape, Christmas tree-shape, snow flake-shape.. And for Valentine’s day we usually use heart-shape and lip-shape. You can decorate them according to holiday you celebrate, also you can add some cinnamon, muscat nutmeg, ginger. Valentine’s cookies are crispy and they smell to taste you want. Only thing which is harder, is shaping, but you must be patient. Valentine’s cookies look incredible, and I know that my husband will like the taste. It is Valentine’s day, let it be magical, romantic and unforgettable. With my Valentine’s cookies you can make this day more special than it is! Valentine’s cookies on your table will be perfect bite melt in your mouth! I hope you will bring joy in your home with Valentine’s cookies! Whisk egg, add salt, sugar, butter, bake powder, vanilla flavor, mix well. Slowly add flour until combine. Stretch dough and with heart-shape mold cut dough. In the brass put baking paper and put dough. Whisk egg whites, add sugar. When cookies cool, dip them in the glaze and decorate with decorative crumbs.